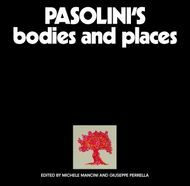 Hardcover, 7.5 x 10.25 in. / 40 pgs / 39 bw. D.W. Griffith, most famous for his controversial film Birth of a Nation, was one of the undisputed pioneers of the film industry. 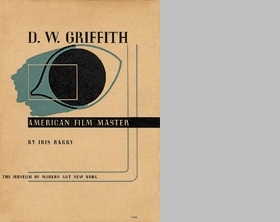 This illustrated monograph, first published in 1940, traces Griffith's rise from an obscure actor-poet to the most imaginitive and resourceful film producer of his time. 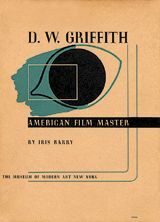 In this facsimile edition of a classic, Iris Barry gives a critical evaluation of the man under whose aegis the basic principles of the art of motion pictures were first fully developed. As Barry writes in the book's conclusion, "...the men who make films today know who it was that taught them the basis of their craft. 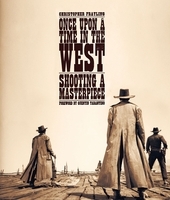 The American public, which for 45 years has so keenly enjoyed and supported the motion picture, has been somewhat relctuant to allow it the status of an art. Now, gradually, they too are recognizing that in Griffith they have one of the greatest and most original artists of our time." 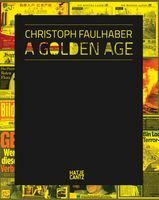 FORMAT: Hardcover, 7.5 x 10.25 in. / 40 pgs / 39 b&w.